GPUs have come a long way over the years, and NVIDIA is pushing boundaries for what to expect from our investment. GPUs are for more than just rendering games; they’re also for offering full immersion and sharing our experiences with others. 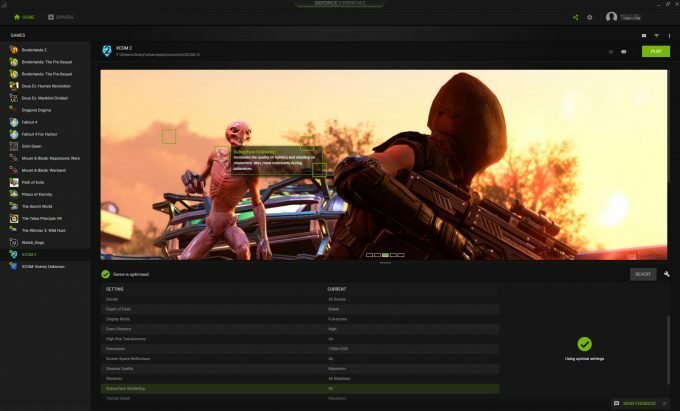 We’re taking a look at GeForce Experience, a comprehensive tool that lets you utilize your GPU to capture, share, optimize, and sometimes, even win! This article is sponsored by NVIDIA. Graphics cards to most people, are just a means to play games. Get the newest and most powerful card in your budget and be done with it. 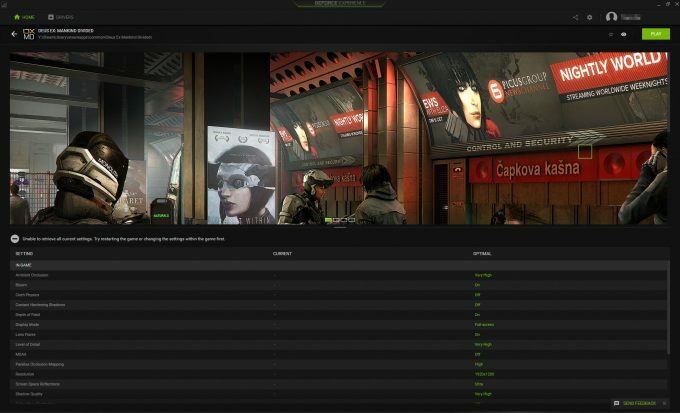 While gaming is certainly front and center, there are a wealth of other features your graphics card is capable of, and NVIDIA is doing a lot of behind-the-scenes work to bring the most out of your graphical investment. 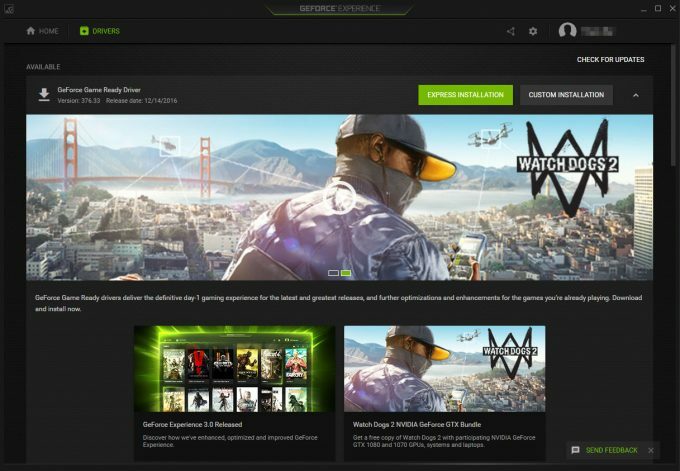 If you bought an NVIDIA GPU in the last couple years, you may have noticed that the driver installs an extra service running in the background; GeForce Experience (GFE). This little app goes beyond being a marketing platform for NVIDIA by offering up genuine help and extended features for your GPU that you may have never known about. GFE becomes a central node to help you manage your games, optimize settings, find help about game settings, streamline the driver update process, and even help you become the next big Internet sensation by streaming those epic wins (or failures) to millions of people around the globe. In this article, we’ll provide you with an overview of the many different features that make up GFE, either through making your games run better, or setting up social sharing of those late night gaming sessions. One of the big features of GFE is the ability for the suite to adjust game settings based upon your system specifications and performance. Each game it recognizes will have a performance profile that can be enabled that tunes the game settings for optimal enjoyment, targeting 60 FPS where possible (or thereabouts) for silky smooth gameplay. If you are new to the world of PC gaming, all the different image quality settings can be a bit daunting to figure out. Do you drop shadow quality or disable ambient occlusion, decrease textures, turn off tessellation; how can you maintain a good level of visual quality while getting frame rates up to acceptable levels? What do all these settings even do in the first place? 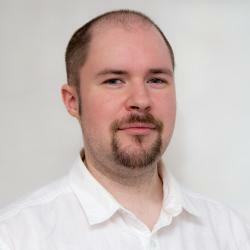 One of the big pluses of Optimization is the explanation of different features and graphical effects. Don’t know what SSAO does? Just hover over the tool-tip and it’ll show you, complete with an in-game screenshot. Depth of Field, Temporal Anti-aliasing, Screen Space Reflections, Subsurface Scattering; they’re all listed for each game that supports them. The only thing it won’t tell you is how much of a performance impact each option has, but this largely depends on the game and the implementation of the effect, so it’s beyond NVIDIA’s control. GFE has its own library of profiles and recommendations that will take the guess-work out of tweaking these game settings. Low-end systems can be tuned with a single click, so if all the options confuse you, there is no need to get flustered over the impenetrable language that surrounds technology and gaming in general. If you are more up to speed with PC gaming and its settings, you don’t have to go completely by GFE either, as you can use those settings as a starting point and tune the game to your tastes. Even on higher end systems, there is some benefit to the optimized settings, since the profile targets 60 FPS where possible. If you are not too concerned with image quality, you can change the balance to more performance, letting you aim for 120-144 FPS in highly competitive games such as Overwatch or CS: GO – where every millisecond counts. For newly installed games, you can just enable the profile and all the graphics settings will be maxed out, without you having to worry about anything. It’ll even enable Dynamic Super Resolution if available (rendering at a much higher resolution, like 4K, then down-sampling to 1080p). While GFE will not detect every game out there, it is fairly smart, as it’ll pick up on extended libraries from multiple vendors. For example, GOG Galaxy installed games will be detected by default, Steam’s additional libraries (e.g. games installed on a different hard drive), UPlay and Origin are also supported. GFE will even look in other places such as X:\Games. This does mean that if you keep a backup of installed games, GFE may list those copies of the game (in my case, it showed a duplicate install of Borderlands Pre-Sequel I have on an iSCSI partition). Even we at Techgage use these Optimizations due to their simplicity, as some games still don’t quite max everything out when hitting ‘ultra’ in-game. It also helps us figure out our ‘best playable’ settings with our GPU reviews. One thing you’ll consistently hear from every tech related or PC gaming website is the importance of keeping drivers up to date. This is most critical when it comes to graphics cards. As new games are released, new drivers also come that help increase performance, changing the way the game engine renders scenes, making things much more efficient. NVIDIA releases driver updates on a fairly frequent basis, even multiple times a month as new games are released. The process is a lot more streamlined now than in the past. For a long time, driver updates were not only manual, but there were no notifications either. It was up to you to remember to install them. Fortunately this was something fixed a while ago, and GFE carries on with these update notifications and helps simplify the update process – just click express install and walk away. Best of all, you won’t even need to reboot your system or go through the sometimes painful clean install process. Overall, driver updates are now a painless process, and the full integration with GeForce Experience means you won’t have to remember to check every month either.